James Elazzi is the playwright behind Lady Tabouli, which stars a wonderful cast including the one and only Paul Capsis. 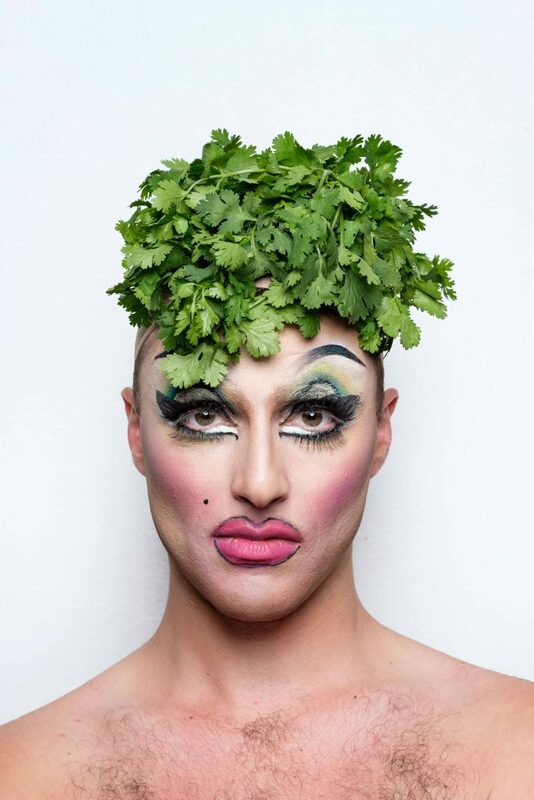 If a vibrant play about a Lebanese drag queen is something you haven’t seen before on an Australian stage, then you should come along from 1-4 May and see something truly fresh and delicious (just like the title’s namesake dish!). Paul: My name is Paul Capsis, I was born in Surry Hills, and I am a first generation Maltese/Greek Australian performer with thirty seven years experience as an international performing artist. James: My name is James Elazzi, and I’m the writer of Lady Tabouli. Paul: Something that people might not know about me… is that I was a cleaner for many years, and an usher in the Theatre Royal for five years. These jobs allowed me to fulfil my early passions to be a working artist. James: And a fun fact about me is that I’m a country boy and I feel happiest surrounded by nature. James: Raw, honest, flamboyant, heartbreaking and fun. Paul: And don’t forget fierce! James: Lady Tabouli is inspired by individuals that go against the grain, striving to make a difference in society and the communities they come from. As a writer, I’m also inspired by those who are constantly seeking answers and not just ‘accepting’. Paul: James’ writing was one of the reasons I was drawn to the show. I like to think of myself as a bit of a mentor to up and coming young artists, and I hope to imbue a sense of confidence and truth with how we make work here in Sydney and Australia, which is something I myself never experienced when I started out. I think it’s synchronistic that in Lady Tabouli, I play a character who inspires someone to be themselves—Danny’s Angel. Paul: I am looking forward to creating a new space and voice through James’s work in the festival. My total focus is on the writing and allowing that new work a platform to develop and breathe in front of an audience. With the guidance of a director like Dino Dimitriadis and fellow actors, I am looking forward to creating a first showing of this new material and hope to allow the writer a chance to see how his work might potentially be presented in the future. There is also the added pleasure of returning to Griffin after a long absence since making my hit one-man play Angela’s Kitchen with them in 2010. James and Paul: The Lady Tabouli team is hoping to catch Sauvage (Wild), Don’t Knock Your Granny and Tales of an Afronaut.